Home»Lafayette Real Estate Marketing, Lamorinda Home for Sale, Lamorinda Housing Market, Lamorinda Real Estate, Real Estate Technology, Uncategorized»What’s “QR” About Lamorinda Real Estate? What’s “QR” About Lamorinda Real Estate? If you were astute enough to guess that “d” is the right answer, you won. Pour yourself an extra glass of wine this evening and celebrate your knowledge of the latest in consumer applications for smart mobile devices such as your iPhone, Android phone, or RIM Blackberry. These clever little boxes are called “QR Codes”. They may not be stylish unless you are a fan of modern art, but they certainly are very powerful! Let’s put the little box to the test. For those of you who own any of the smart mobile devices mentioned above, or one of the many with an iPad, go to the “App Store” and download one of the many free “QR Reader” applications. I’ve got one on my iPhone that simply has the name “QR Reader”. It’s nothing fancy, but it does the job. OK… now that you’ve got this powerful new tool on your device. 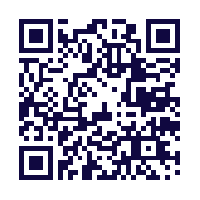 Launch the application and hold your device up to the QR code at the beginning of this blog post. Assuming you’ve used the app correctly, you’ll be whisked away to a vast amount of information that previously could not be communicated via text. In this case, you’ll be taken to an informational website for one of our newest listings, complete with a photo slide show and the sort of information that you’d want as a prospective buyer. It’s impressive, powerful technology that will add a whole new dimension to dull paper-based marketing. You’ll find this technology embedded in all of our paper-based marketing collateral and print advertising. It opens new doors to information for savvy real estate consumers. Armed with your new QR reader and this new tidbit of consumer knowledge, a whole new world of information is before you. « Lamorinda — Spring 2011… A Buyer’s or Seller’s Market? Will Technology Sector Changes Impact Lafayette CA Real Estate?